Thomas Henry Bond (April 2, 1856 – January 24, 1941) was a Major League Baseball player who was a pitcher and a right fielder a total of ten seasons. A native of Granard, Ireland, he is the first man born in Ireland to play Major League Baseball. Bond was also the last survivor of the National League's first season (1876). 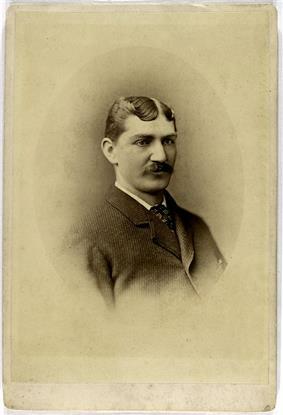 Bond played for six teams during his career: the Brooklyn Atlantics (1874), Hartford Dark Blues (1875–1876), Boston Red Caps (1877–1881), Worcester Ruby Legs (1882), Boston Reds (1884), and Indianapolis Hoosiers (1884). He also managed the Worcester team for six games. ^ "Career Leaderboards". FanGraphs. Retrieved 2009-09-16.